"The Coffee and Smoothie Trailer" is a full service mobile coffee shop ready to serve the best coffee shop drinks around southern Michigan. Guests can enjoy Lavazza coffees, Ghirardelli Mochas and Dr. Smoothies at outdoor events around Michigan. Mission Statement for "the coffee and smoothie trailer"
Coffee houses brought fancy coffees, mochas, lattes with wonderful flavors and nutritional smoothies into our culture. Catered Coffee - "The Coffee and Smoothie Trailer" is a full service mobile coffee shop that is ready to serve anywhere in southern Michigan. Your guests can enjoy the best coffee drinks (hot, iced or frozen) or smoothies at any festival, event or party in Michigan indoors or outdoor. "The Coffee and Smoothe Trailer" is located in Chelsea, Michigan and serves southern Michigan but we will hit the road if invited. Our Lavazza coffee drinks or Dr. Smoothies are a wonderful addition to any event, fair, 5k, marathon, charity function or sporting event. 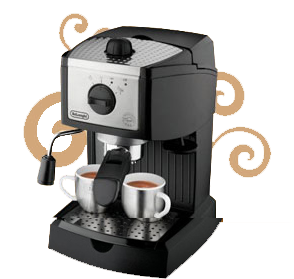 Now your guests can enjoy a full espresso bar serving coffee house beverages, using lavazza espresso, Ghirardelli chocolate, 1883 syrups and Dr. Smoothie fresh fruit puree, at any size event around Michigan. Our barista quickly created and serve hot, iced or blended versions of coffee house coffee drinks that include - espressos, cappuccinos, lattes, chai tea, hot chocolates, brewed coffees and tea. Mulitple flavors of smoothies can also be enjoyed. Tea, Smoothies and non-dairy products are availible.